Tiling can be done by anyone and for those people who have everything that you possibly need to do the job, we will gladly give and technical help you may need to attempt it yourself. However tiling is usually the last job to complete a new bathroom or kitchen and a bad tiling job can really let the whole room down. Tiling isn’t quite as easy as it looks and the equipment used by our tilers costs several thousands of pounds to buy. We have some of the largest numbers of trade customers that use us for their materials and have no wish to undercut them to get tile fixing work. 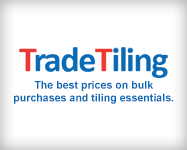 We have offered a tile fixing service since 2004 and that need arose simply as we found when tilers were busy they would sometimes increase their prices as they didn’t need the work. Also to this day there are a huge amount of people with little or no skills offering tiling services. When something goes wrong customers had little or no chance of contacting them again, let alone getting someone to rectify a mistake. We can tile almost anything. We are flexible in work hours and will work with you to arrange the most suitable time providing we are fully insured in case problems arise. These floors are relatively new and need careful preparation to avoid costly mistakes. Screed floors made of this material cause a layer of lattice ( salts ) to rise to the surface and if they are tiled on too soon or not adequately prepared, failure is certain and the consequence is a full retile. We will test the humidity of a screed, confirm it is dry enough to tile, or let it dry for longer, once dry enough we scrub the floor and apply a special neoprene primer to stabalise the floor. ONLY then would we tile. 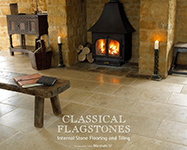 Under floor heating can really boost the room’s potential from an aesthetic and economic perspective. It can be cheap to run and can be used as a sole source of heat for a single room, so excellent for an extension which would otherwise need a new heating system. We always recommend a leveling compound over the top of an under floor heating system, this eliminates “hot spots” where a pocket of air causes uneven heating to the floor. The main reason leveling though is to encase the wires so should you ever need to lift a tile you can do so without damaging the system. The tiles must be paid for in advance of us starting, we would then unless there are any problems expect the balance of the labour to be paid to the installer at the point he is finished and you are happy and satisfied with the job. Any problems must be reported to us as soon as possible, so that we can resolve any issues immediately. If an area needs preparing before we start and you have agreed to carry out the work this must be done in advance. If we have to carry out additional work this would have to be charged for accordingly. Unfortunately we no longer fix tiles that are not purchased from us. This is simply due to real poor quality tiles that are available elsewhere. 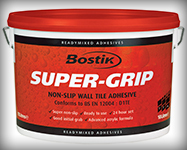 We will not fix using brands of adhesives/grouts not supplied by us. This is for various reasons which include Quality Guarantee and performance. We believe in having no hidden costs or unexpected charges. When one of our team calls to give you your free quotation we will itemise everything that you will need, from the amount of adhesive and grout you require, to the cost of preparing the area before we start. Once we have quoted, unless something is lurking that we possibly couldn’t have envisaged the price will remain the same as what we initially stated. £40 per square m2 (including adhesives and grouts) with a minimum cost of a day rate of £200 plus materials needed (grout sealers, trims). Dickies Tiles have a very simple pricing policy, we charge £40 per m2 including adhesives and grouts. This makes it simple to work out and won’t add and unexpected costs. This doesn’t however include any preparation work needed prior to tiling (eg: Cement, boarding floors or removing old tiles) Other costs to think about that are not included in the costs are things like grout sealers trims etc. Dickies minimum day rate charges are £200 per day, for which we tile up to 5m2 For all bespoke and trickier jobs, we are happy to do a full onsite evaluation and quote accordingly.